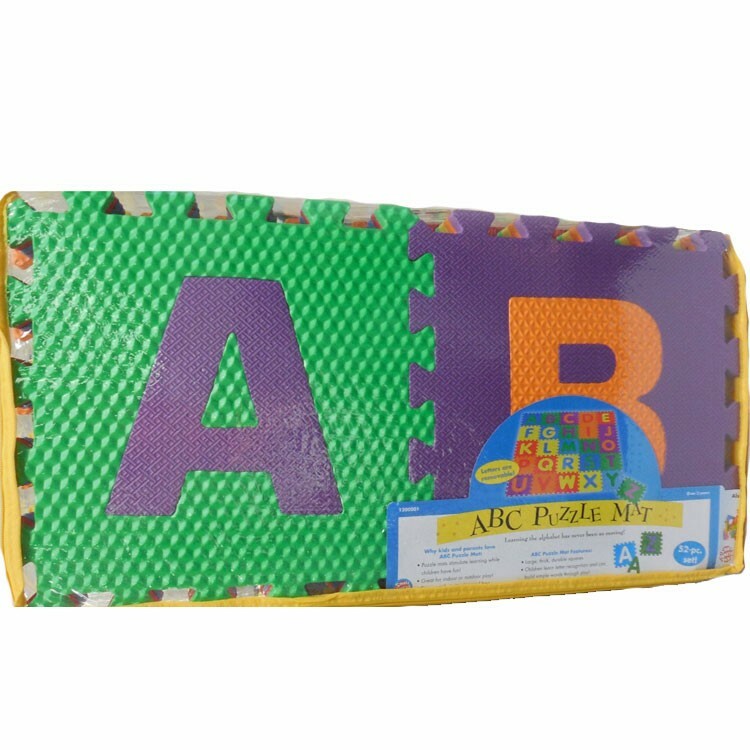 This Alphabet Floor Mat is a 26 foam letters floor puzzle, a kids room dcor foam mat, an alphabet teaching plaything - all in one activity toy! 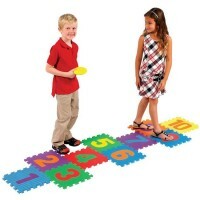 Cover your floor with alphabet fun! 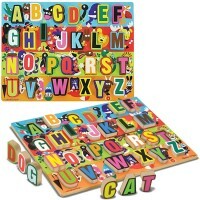 The Kids Alphabet Floor Puzzle Mat by Small World Toys is a unique alphabet puzzle including 26 huge 12 x 12 inches pieces. 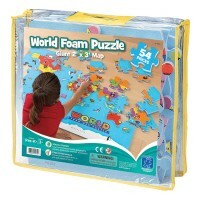 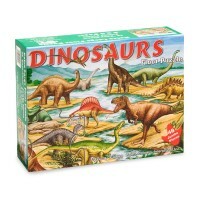 Each jumbo puzzle piece features soft, safe, washable foam and a large, raised letter. 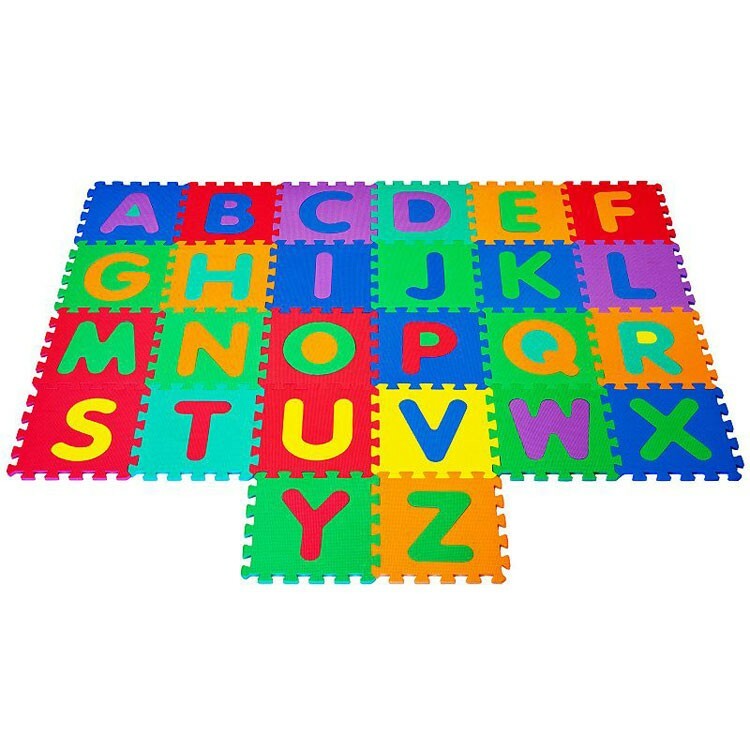 This colorful, durable puzzle set from Educational Toys Planet is a great way to introduce your child to the alphabet and early reading and writing skills. 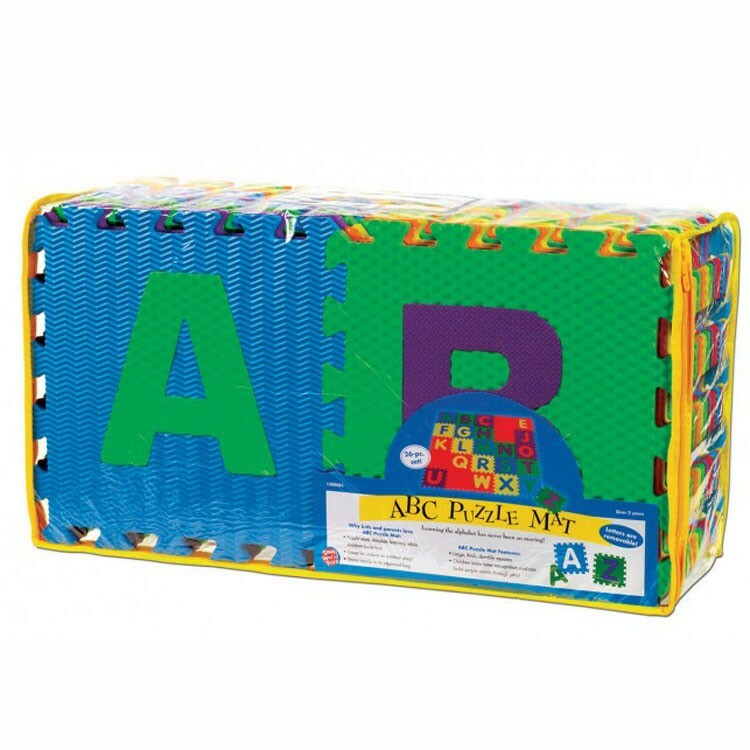 Connect all 26 letters together to make a giant floor mat, or link the pieces together to create a giant cube! 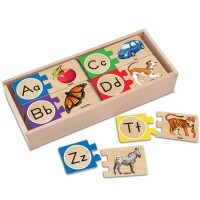 The interchangeable pieces can also be rearranged to spell out words. 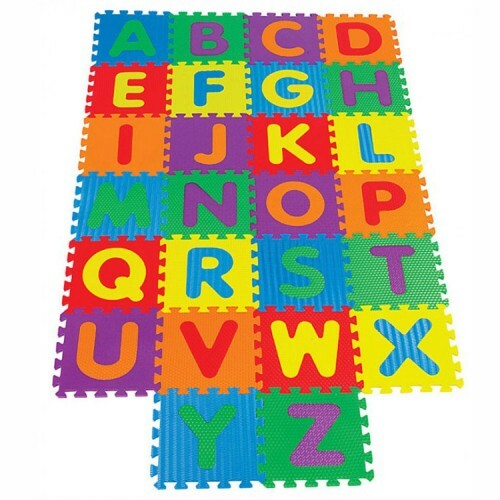 Small World Toys' Kids Alphabet Floor Puzzle Mat is a great addition to any home play area and makes a great classroom floor covering as well. 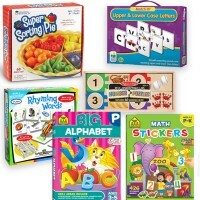 Encourage motor skill development, problem solving skills and introduce your child to early language arts. 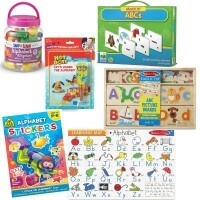 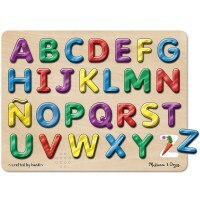 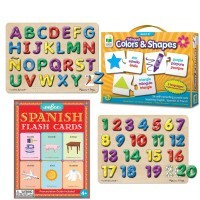 Dimensions of package 24.5" x 12.75" x 7.5"
Write your own review of Kids Alphabet Floor Puzzle Mat. 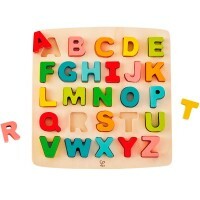 Rating: 5 fun for toddlers by barry great tool for little ones to recognize the alphabet .